Recently, the importance of community-centric systems is increasing in the human society. Human-centric systems can enhance the accessibility and usability of systems and devices, and they can improve the quality of life in many areas such as supporting human activities, communication and interactions in healthcare, and welfare. However, there is a need to shift from human-centric systems to community-centric systems and improve the quality of community in social networks and communities. This paper provides a survey of human-centric and community-centric systems. In the case of human-centric systems the acquisition of human data including sensing, monitoring and gathering data for life log are discussed. Constructing user models and applying the models for health care support are also proposed. In the case of community-centric systems, the community detection on the Web is presented. Various visualization systems for community detection on the Web are introduced. Emergency support systems as an important application of community-centric systems are discussed as well. Recently, the importance of community-centric systems is increasing as a new paradigm in the aging society. In the American Heritage Dictionary, community is defined as1: 1) A group of people living in the same locality and under the same government, 2) A group of people having common interests, 3) A group viewed as forming a distinct segment of society, 4) A group of organisms interacting with one another and with the environment in a specific region. Researchers have tried to develop useful, helpful, and suitable systems for well-being of individuals and societies so far. However, everybody has relations to other people, such as family, colleagues, neighbors, and so on. Figure 1 illustrates how the target of these researches extends from a user to group and social network. It is important to study not only the “user” but also “one member in a community”. In the case of human-centric systems the system is adaptive to a specific person. In the case of community-centric systems the aim is different. In this case, such systems are needed which can support each person and can handle human relationships as well. The quality of life (QOL) is related to the quality of community (QOC). If QOC has been improved, the members of a community could feel better the improvement of QOL. Human relations and social connections are important factors for each person. Human-centric research has been extending to community-centric research. Human-centric systems have progressed using many element technologies as shown in Figure 2. 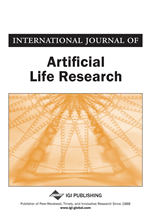 Before 1960, the active areas of research were cybernetics and artificial intelligence (AI). Cybernetics is relevant to the study of systems, such as mechanical, physical, biological, cognitive, and social systems (Ashby, 1956). Traditional AI, also known as symbolic AI is able to utilize the information in form of knowledge-bases using symbolic logic (Johnston, 2008). Computational Intelligence (CI) emerged from fuzzy logic, neural network, and evolutionary computation fields (Fogel & Robinson, 2003; Rutkowski, 2008). CI can use sub-symbolic form of knowledge and can provide better solutions for various problems by balancing between computational complexity and accuracy. The understanding of human and the social networks through humans is in progress based on improving sensing technologies (Krishnamurthy & Poor, 2014; Shmueli, Singh, Lepri, & Pentland, 2014). The knowledge and information obtained by human science affect human modeling. The human modeling research affects the interface and interaction research. Furthermore, the rapid progress of information and communication technology creates an Internet-based world. Human relationships shift from only physical relationships to physical and human relationships over the Internet. Therefore, the focus of human-centric system extends to the Web as well.